Italian auto racing fans gave a roaring applause Saturday afternoon as their native auto racing team figured prominently. Through overwhelming fashion, Fernando Alonso set top time in the final Q3 qualifying session to place his Ferrari F2010 out front for Sunday's Italian Grand Prix at Monza. Recording a 1 minute, 21.962 second lap to take pole for the 14th race of the 2010 Formula 1 season, Alonso was the only driver in the qualifying session to break the 88-second barrier. The spanish driver's pole time outpaced the efforts of McLaren-Mercedes pilot and reigning Formula 1 champ Jenson Button mustering a fast lap just 12/100ths of a second slower than the Ferrari. Three seasons ago, Fernando Alonso found success on the Monza circuit when the Spanard briefly drove for the McLaren-Mercedes team. Based on a turbulent time Alonso spent with the British race team, Alonso's pole-sitting accomplishment serves slightly as an act of vengance. Felipe Massa placed 3rd fastest in the qualifying session to make Ferrari the bread in a McLaren sandwich. Red Bull Racing had an unsually-weak Q3 qualifying round at Monza as Mark Webber was only able to place the typically front row-starting Renault-powered machine outside of the second row. After leading Friday practice, Sebastian Vettel found it most difficult to find enough speed for any more than 8th fastest. 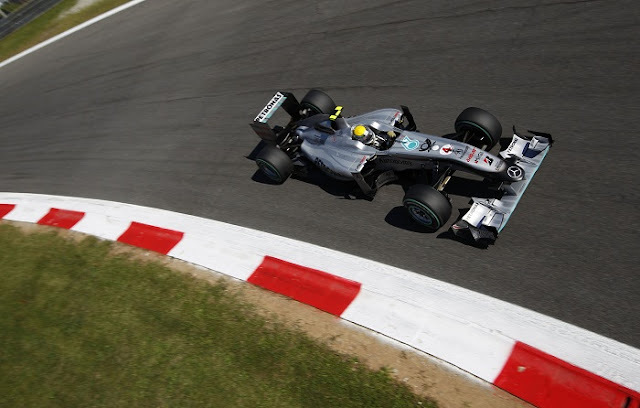 In 10th place, 2009 Italian Grand Prix winner Rubens Barrichello is soldiering through the 2010 season with Williams F1. 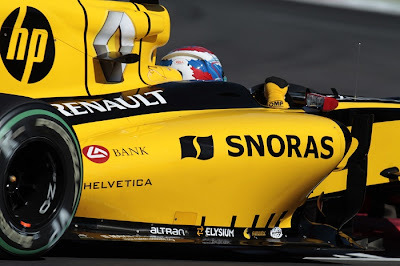 Rookie team mate Nico Hulkenberg bettered the veteran Brazilian with an 8th place run while both Williams cars are likely suffering from a minor power deficet with their Cosworth powerplants compared to the likes of higher-funded, factory-supported teams. For North American Formula 1 fans, Italian Grand Prix is scheduled for 8 A.M. Eastern time Sunday morning with the Formula 1 event to be televised on TSN live for Canadians and on Speed for American fans.